40 artists will open their homes and studios in 23 locations in historic Brooklyn, aka “Victorian Flatbush”, a neighborhood of distinctive100+ year old Victorian homes on streets lined with majestic old trees. Ditmas Park and Prospect Park South are amongst the most beautiful neighborhoods in the city. This is a self-guided tour and you can visit as many or as few studios as you like. 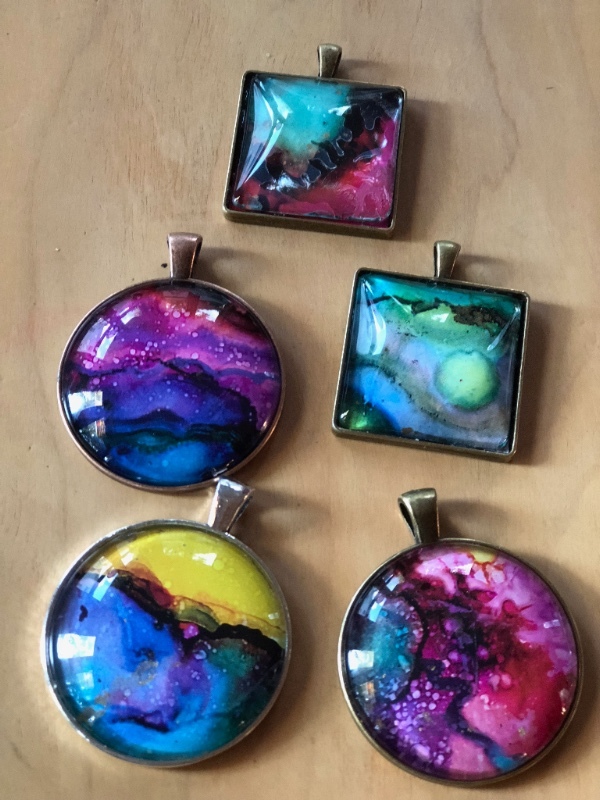 I’ll also be showcasing a beautiful line of art jewelry called “Cosmos. ” There will also be gift items such as stationary, hand-painted tiles and Art Sparks Creative Project Card Decks. between Beverley & Albemarle Rd.